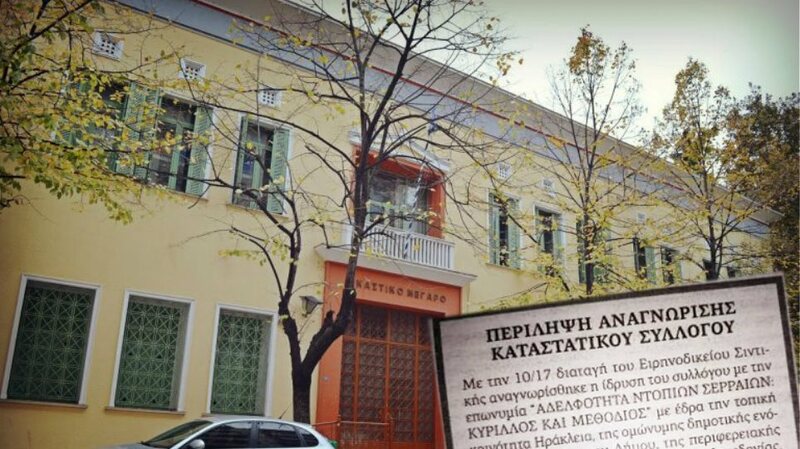 A new propagandistic article from the pseudo-historians of FYROM has appeared for some time in their propaganda website historyofmacedonia.org. Why the Macedonians are not “Slavs”? 1. First of all, Gligorov and Veselinov are not historians, but politicians. History should not be written by politicians but should be left to the historians. Its quite interesting and at the same time tragically ironic, this point is coming from the same skopjan propagandists who use as their main “proof” of the alleged “non-greekness” of ancient Macedonians, a politician (Orator), Demosthenes!!! 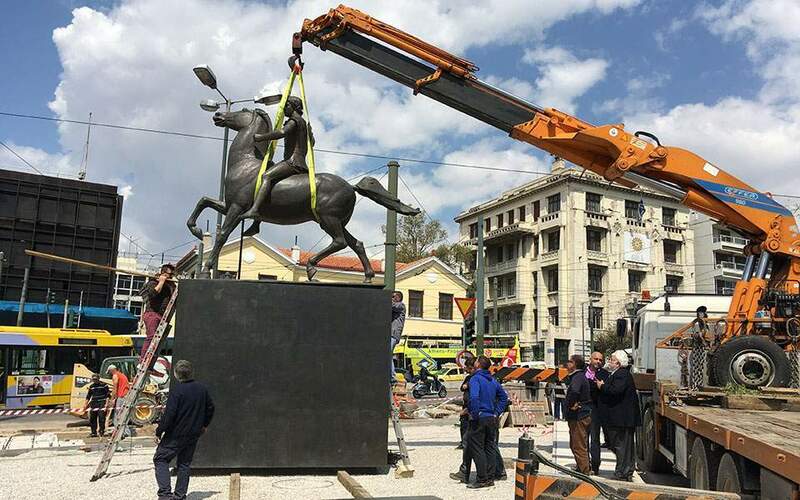 From time to time, they will use also, taking out of context, a phrase attributed to King George of Greece, certainly not a historian but a person who was part of political life of Greece. Unfortunately these self proclaimed historians are contradicting stronly themselves while conveniently forget to use their own quote “History should not be written by politicians but should be left to the historians“. 2. The Macedonian historians do not support the claim that today’s Macedonians are “Slavs” who came in the 6th century. 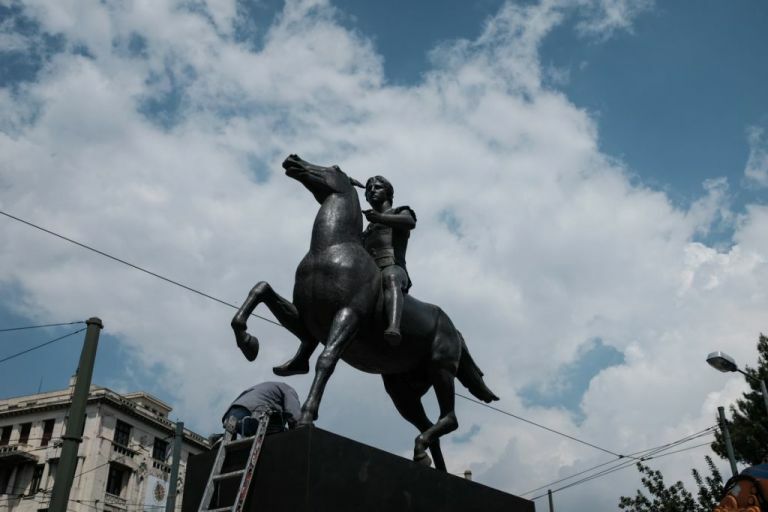 The latest book “THE DESCENDANTS OF ALEXANDER THE GREAT OF MACEDON – The arguments and evidence that today’s Macedonians are descendants of the ancient Macedonians”, puts an end to the “Slav” claim. The main point here is that it is only the “PseudoMacedonian” historians who dont support this well known Fact. Unfortunately for them, all other distinguished modern historians verify that the inhabitants of FYROM are Slavs who arrived in the region in 6th century. 3. This “Slav” claim was an old communistic propaganda influenced by Russia and Yugoslavia during the period while Macedonia was part of communist Yugoslavia (1945-1991) and both Gligorov and Veselinov were tough this line of the official then history, dictated by Slav Russia and Serbia (Yugoslavia). As stated this “political history” is outdated and is ongoing replacement. It is actually the other way around. The “Macedonian” claim of the Slavs of FYROM was influenced by Russia and Yugoslavia. Everybody knows the artificial language spoken now in FYROM was created exactly during mid-40s to boost their fantasies and its an artificial language created from their native Bulgarian language with a few elements of Serbian language. 4. 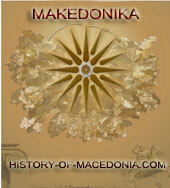 The roots of the Macedonians are in ancient Macedonia in Europe since 8th century BC. This is the reason why they call themselves Macedonians and not “Slavs” ever since that 8th century BC, including today. The roots of Macedonians are in ancient Macedonia but for the discomfort of the Skopjan propagandists, the historical ancient Macedon in its vast majority, lies where now is Macedonia, the northern province of Greece. The Slavic population of FYROM is aware of their slavic roots and as it is obvious to everyone who has studied ancient history, not only ancient Macedonians didnt spoke Slavic obviously but of the inhabitants of FYROM noone can read ancient macedonian inscriptions for the simple reason that they ARE ALL WRITTEN IN GREEK. 5. Historical evidence (avoided by Gligorov and Veselinov of the communist school) shows that the Macedonians have called themselves “Macedonians” in every century since Alexander, both before and after the coming of the Slavs in Macedonia in the 6th century. It is the Slavs that assimilated into the Macedonians, not wise-versa, and the Macedonians continued to call themselves what they are – Macedonians. According to the deluted world of these pseudohistorians, and contrary to all the historical community we are learning for first time that the…invading Slavs were assimilated into the Macedonians and not vice versa. 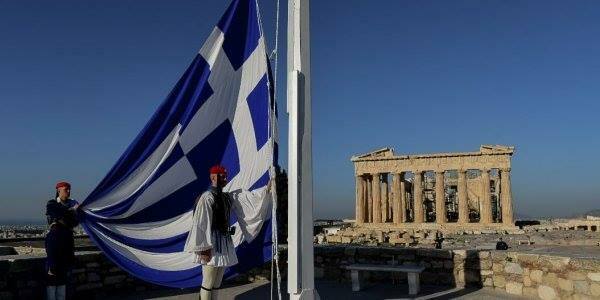 Of course they forget to explain us that by the time of Philip II and Alexander the Great, the ancient Macedonians had clearly adopted Hellenic culture. In other words, ancient Macedonians spoke Greek language, worshipped the same gods, had Greek names, participated at the Olympics and other Greek games and festivals, exactly like the rest of the Greeks. The Kingdom of Macedon was in continuous contact with Greeks and these contacts became more with the conquests of Alexander the Great. 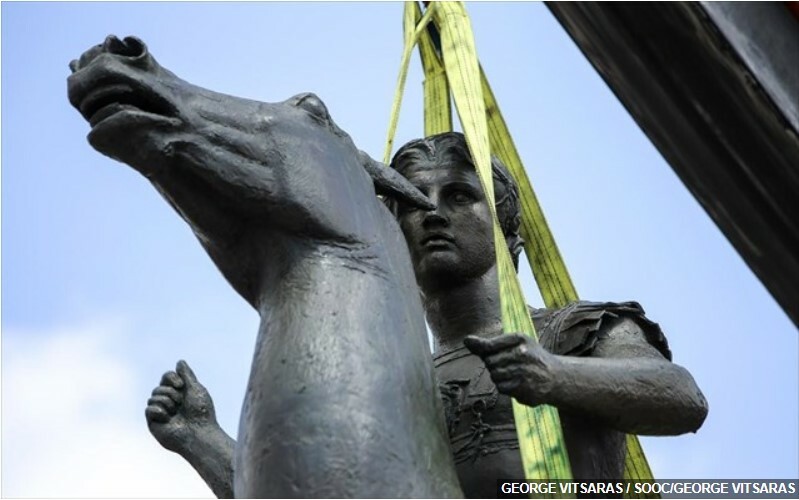 Obviously, ancient Macedonians had been assimilated by the rest of Greeks and this is apparent since they had about nine centuries since the coming of the Slavs in the region. During these nine centuries Macedonians and greeks became an integral part of the Eastern Roman empire sharing the same religion (Christianity) and the same culture in general. 6. And most convincing of all the fact that the genetic research had proven that the Macedonians are not Slavs but have a direct descent from the ancient Macedonians. “The limitations are made evident by the authors’ extraordinary observations that Greeks are very similar to Ethiopians and east Africans but very distant from other south Europeans; and that the Japanese are nearly identical to west and south Africans. It is surprising that the authors were not puzzled by these anomalous results, which contradict history, geography, anthropology and all prior population-genetic studies of these groups. Surely the ordinary process of refereeing would have saved the field from this dispute. 7. The Macedonians in the Republic of Macedonia, and Macedonian minorities in Greece, Bulgaria, and Albania, continue to proudly call themselves “Macedonians” and consider the “Slav” label an insult and racial slur. The western press was literary bombarded by mails, faxes, and emails from outraged Macedonians who despised being called “Slavs” during the Albanian aggression on Macedonia. It is amazing the pseudohistorians of FYROM conveniently forget that ALL the heroes and founders of FYROM PROUDLY CALLED THEMSELVES AS BULGARIANS. Tzar Samouel and others like Damian Gruev, Goce Delcev, Mirsikov, consider themselves as Bulgarians in their writings. furthermore, the inhabitants of Macedonia in Greece Proudly consider themselves as Macedonian Greeks as the inhabitants of Pirin Macedonia in Bulgaria call themselves as Bulgarians. At least they acknowledge their real Bulgarian roots contrary to the Bulgarians of FYROM. MY FIGHT FOR JUSTICE AND MY FIGHT FOR MACEDONIA! МОЈАТА БОРБА ЗА ПРАВДА И МОЈАТА БОРБА ЗА МАКЕДОНИЈА! What is with Vlachs -- Aromanians? You forgot this nation. Otoman Empire recognised them as nation till 1905, but not Macedonians nor Serbs. Serbs were nation but not recognized by Turks. Vlach -- Aromanians had the bigest cities on Balcan, Moskopolje and Monastery (Bitola) in XVIII and XIX century.